Take everything you think you know about Candlebox‘s sound and delete it from your memory. On April 22, 2016, Disappearing in Airports, Candlebox‘s sixth studio album will be released, and most likely surprise many longtime fans. The Seattle-based band still exudes a plethora of musical talent and creativity, but gone are the edgy, gritty songs like “You” and “Far Behind.” There was a time Candlebox‘s music was labeled as “Grunge.” That no longer is true, and that’s ok. Disappearing in Airports offers a much lighter offering of rock infused with a bluesy, almost pop-like, feel. The classic lineup is no longer intact, and the music reflects it. A fresher sound is most likely attributed to the new blood. Kevin Martin still croons and shows a boundless vocal range, backed by seamlessly interwoven guitar tracks from Mike Leslie and Brian Quinn. Dave Krusen has reclaimed his drum throne, and Adam Kury rounds out the five-piece. The album, although much different than the releases from this band in the 1990’s, is enjoyable, creative, lyrically strong, and a solid Rock and Roll offering. “Only Because of You” features a smooth, melodic, haunting guitar track, supporting Kevin Martin’s pleading, lyrically touching vocals. “Vexacious,” is an upbeat, forward thinking “go get ’em tiger” type of anthem with edgy guitars and aggressive drum line. “Supernova” has a sultry, slinky feeling, dripping with innuendo. The type of song you find yourself drumming along on your steering wheel with, and keeping on replay on your car’s stereo. “Alive At Last,” feels like a love song. It’s a happy place, thought provoking, slow and easy tempo, feel good track. “I’ve Got A Gun,” offers angry lyrics contrasted with an even, almost docile tempo reminiscent of the rockabilly blues type songs. “I Want It Back,” is a pretty straight forward walk down memory lane song. Subtle undertones of Candlebox‘s work in the mid 2000’s mixed with the freshness of the revamped lineup. “The Bridge” has a hard hitting yet contemporary pop feel. Great use of minor chord progression that bleeds in to an edgy hard rock almost heavy metal guitar solo. “Spotlights” is a bluesy, meaningful almost poignant track. The tempo and lyric combination exudes a feeling of calmness and hope. “Crazy” is a classic stalker/love song – melancholy smooth with jagged little injections of aggressive guitar. “God’s Gift” is a mixed bag of tricks. Passive aggressive lyrics points out the downfalls of our modern celebrities while keeping the feel edgy and dominant. Solid composition with a creative layering effect. Bonus digital track, “Keep on Waiting,” is a definite Rockabilly blues track. Overall it is gritty and growly, almost sinister yet somehow whimsical. Grunge music seemed to quietly fade away, as did most of the bands that helped make it a popular genre, Candlebox changed with the times and refused to fade away. This new album attests to that and proves that if there is true talent within the musicians, it really doesn’t matter what genre they play. The album is definitely worth a listen, but remember that this Candlebox is not the Candlebox of 1993, but if you want a good, solid Rock album, this is it. 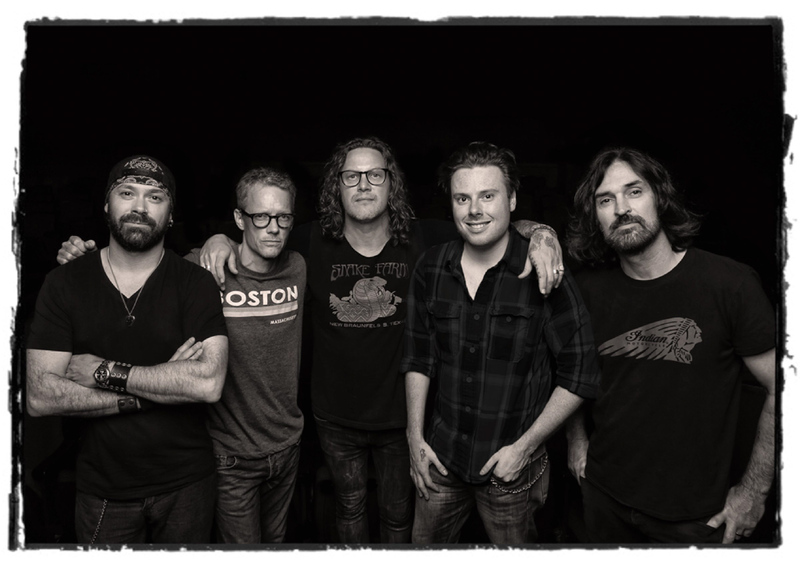 Candlebox is currently on tour the entire month of April, so you can go catch some of the new material live and in person. Now go, click on the Candlebox link and make plans to purchase the album and tickets to a show near you!